Wage Range: $10.00- $17.00 per hr. Copies of the job description and applications are available at the office of the Medley Town Clerk during normal business hours of 9:00 A.M. to 4:00 P.M., Monday through Thursday (exclusive of Medley legal holidays). This job opening will be available for applicants to obtain an application through and including 12:00 P.M. on, Tuesday March 12, 2019. Qualified applicants shall be contacted for a personal interview with the Public Works Director. The starting date for this full-time employment position shall be Tuesday, April 2, 2019. Qualifications of applicants being substantially similar, first consideration will be given to current employees of the Town. Applicants will be required to comply with Town of Medley Policies, specifically including its Drug Free Workplace Policy, which requires all applicants to successfully pass a pre-employment physical examination and drug screening. 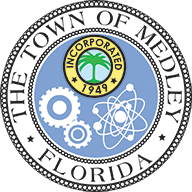 The successful applicants are required to appear before the Medley Town Council on Monday, April 1, 2019. This Notice of Notice of Job Availability is dated at Medley, Florida this 5th day of March, 2019. Under general direction of the Social Services Director, this position is responsible for the care and tutoring of children ages 5-12. Independently performs all tasks and directives assigned using considerable judgment based upon knowledge of the department's practices, principles and procedures. Works effectively with staff and parents to support students learning. Communicates with parents to discuss student's academic progress. Accepts and incorporates feedback from Social Services Director. Participate in additional activities including field trips, trainings, and other required programs as needed throughout year. 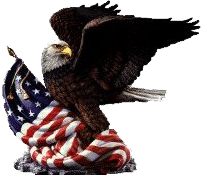 Additionally, shall do all other reasonably requested job functions to allow the named Department to operate efficiently. The job description in no way implies that these are the only duties to be performed. Employee occupying the position will be required to follow any other job-related instructions and to perform any other job-related duties requested by their supervisor. Ability to communicate effectively orally and in writing in the English & Spanish language. State of Florida Driver's License to be current and in good standing with no convictions for driving a vehicle while under the influence of any intoxicating beverages or drugs (whether legal or illegal), as defined by Florida Statutes. 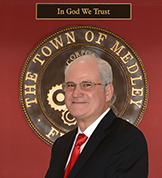 The Town of Medley is an Equal-Opportunity Employer and maintains a Drug-Free Workplace. The hired employee may be required to take and pass a post-conditional offer of employment screening examination in accordance with the Laws and Statutes in the United States and the State of Florida and may from time to time be required to submit to random drug screening according to the Laws and Statutes of the United States and the State of Florida and the Codes or Policies of the Town of Medley.